Chef Metz’ distinguished career in the foodservice industry started at the age of 15 with an apprenticeship in Baking and Pastry. He has worked at several distinguished restaurants in the United States as well as 15 years at the H.J. Heinz Company as Senior Manager of Research and Development. Throughout his career, Chef Metz has strived to push culinary standards to new heights. He was instrumental in establishing the Chefs’ Apprenticeship, Certification and Master Chefs’ Certification program in America. His contributions to the United States Culinary Olympic Team resulted in three consecutive World Championships and one World Cup. 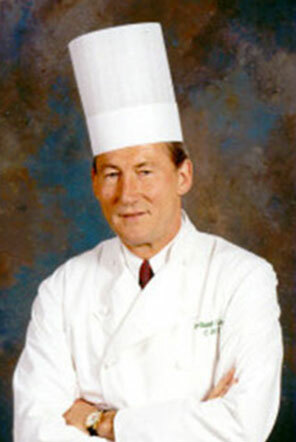 He was President of the renowned Culinary Institute of America for 21 years. He also served a term as President of the World Association of Chefs Societies (WACS), a global network of over 10 million professional chefs worldwide. Today, Chef Metz leads two consulting companies, Ferdinand Metz Culinary Innovations and Master Chefs' Institute.